The period between 1920 and 1950 saw an epochal shift in the American cultural economy. The shocks of the 1929 market crash and the Second World War decimated much of the support for high modernist literature, and writers who had relied on wealthy benefactors were forced to find new protectors from the depredations of the free market. Private foundations, universities, and government organizations began to fund the arts, and in this environment writers were increasingly obliged to become critics, elucidating and justifying their work to an audience of elite administrators. 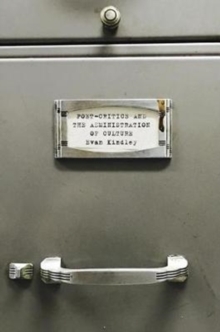 In Poet-Critics and the Administration of Culture, Evan Kindley recognizes the major role modernist poet-critics played in the transition from aristocratic patronage to technocratic cultural administration. Poet-critics developed extensive ties to a network of bureaucratic institutions and established dual artistic and intellectual identities to appeal to the kind of audiences and entities that might support their work. Kindley focuses on Anglo-American poet-critics including T.
S. Eliot, Marianne Moore, W. H. Auden, Archibald MacLeish, Sterling A. Brown, and R. P. Blackmur. 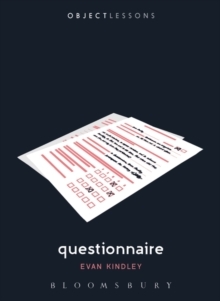 These artists grappled with the task of being "village explainers" (as Gertrude Stein described Ezra Pound) and legitimizing literature for public funding and consumption. Modernism, Kindley shows, created a different form of labor for writers to perform and gave them an unprecedented say over the administration of contemporary culture. The consequences for our understanding of poetry and its place in our culture are still felt widely today.